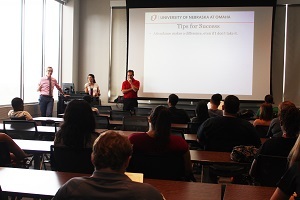 The UNO Success Academy is a learning community aimed at supporting a select group of first year students admitted by review at UNO. The Success Academy provides students with a foundation for future success through a wide-range of meaningful activities. 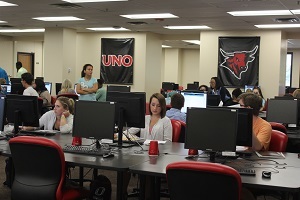 UNO understands the types of challenges first year students face. That's why this program is designed to help prepare students to take advantage of their time on campus and support their transition to university life. 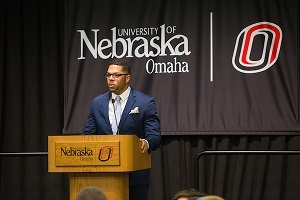 By the end of the program, students will have developed foundational college-level skills while making connections with faculty, staff, other students, and our campus. 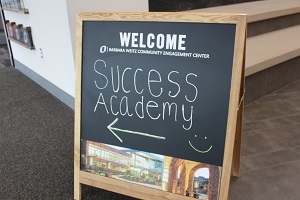 The Success Academy will also help students complete admissions requirements. We are committed to supporting our students' academic and personal success.